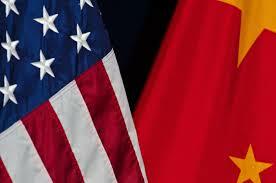 Senior BBL: CHINA vs The UNITED STATES: A Rocky and Uncertain Future? What are we to make of China and its future role in the world? Fifty years ago, China was in the midst of Mao’s Cultural Revolution. Virtually every school was closed for 10 years. The elite were sent to re-education camps to grow rice. Red Guards purged everyone they did not like, and the country was very poor and backwards. China was in such difficult straits that other countries would not accept its currency, forcing it to barter for everything it needed. Since the late 1970s, with the death of Mao and the emergence of Deng, China has developed faster than any country in history. Much of the development was due to cheap and plentiful labor. The U.S. and other countries assisted this development by opening trade with China and allowing China into the WTO, while China was allowed to operate by its own rules. Foreign companies were forced to enter into joint ventures. This enabled the JV partners to capture foreign technologies. The government controlled State-Owned Enterprises had vast advantages, blocking most foreign companies from the most lucrative deals. The U.S. and other countries actually encouraged this process. China provided western consumers with cheap goods, and China served as a counterpoint to Russia during the end of the cold war. Now things have changed dramatically. China is the world’s second largest economy. Its strength is not just in cheap production. China is among the world leaders in technology manufacturing, electric cars, green energy, infrastructure, artificial intelligence, and other 21st century industries. China is also becoming a political power. It is implementing its “Belt & Road” initiative, building infrastructure in Asian, East European, and African countries. These efforts could enable China to eclipse the U.S. in many parts of the world. Donald Trump is correct that we have made deals with China that have hurt our employment and enabled China to develop faster than any other country. China is continuing to grow faster than all developed countries. It is investing billions in the industries of the future. It is also establishing itself as the strongest counter-weight to the U.S. The question is – what should the U.S. and other developed countries do about it? What are the economic ramifications? What are the political ramifications? Please join us for a stimulating discussion. The link below is a recent comprehensive New York Times background article on China.